What better time than during the dead heat of summer to charge up your smart phone and trek through the urban sprawl of Haiti to interview people about their toilets (or lack thereof)? Undeterred by the heat, this is exactly what the SOIL team has been up to this summer! The Port-au-Prince office just completed the first segment of this marketing research with a satisfaction survey to assess how current EkoLakay customers like their household EcoSan toilet. With just shy of 200 customers in the Ti Plas Kazo neighborhood of Port-au-Prince, our sample size was modest, but the results were fruitful. Over two years ago, a market study SOIL conducted in Ti Plas Kazo revealed that people felt that having an in-home toilet was important for their health (78%), privacy, (51%) and security (45%). So how does customer experience measure up now that people have had, on average, 14 months using EkoLakay’s service? Just over 88% of clients surveyed reported that their quality of life in terms of their health has improved since using EkoLakay. Beyond that, an astonishing 97% of EkoLakay customers shared that their quality of life in terms of security had improved. Especially for nighttime use, a private household toilet is a significant improvement from a shared or public option outside of the home. After saving money, customers reported privacy as the second biggest advantage to EkoLakay. 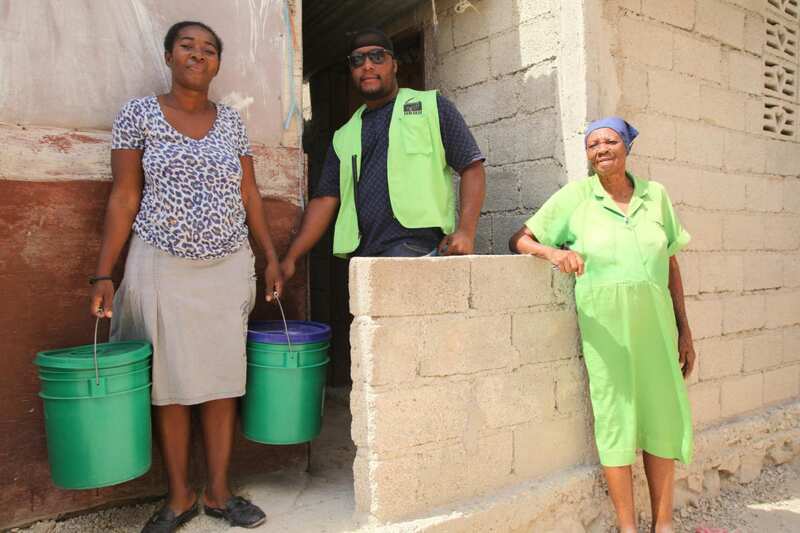 Families who switched to a composting EkoLakay toilet from a traditional flush toilet have seen the amount money they spend on sanitation significantly decrease, as they no longer have to spend money on the water that’s necessary for flushing. 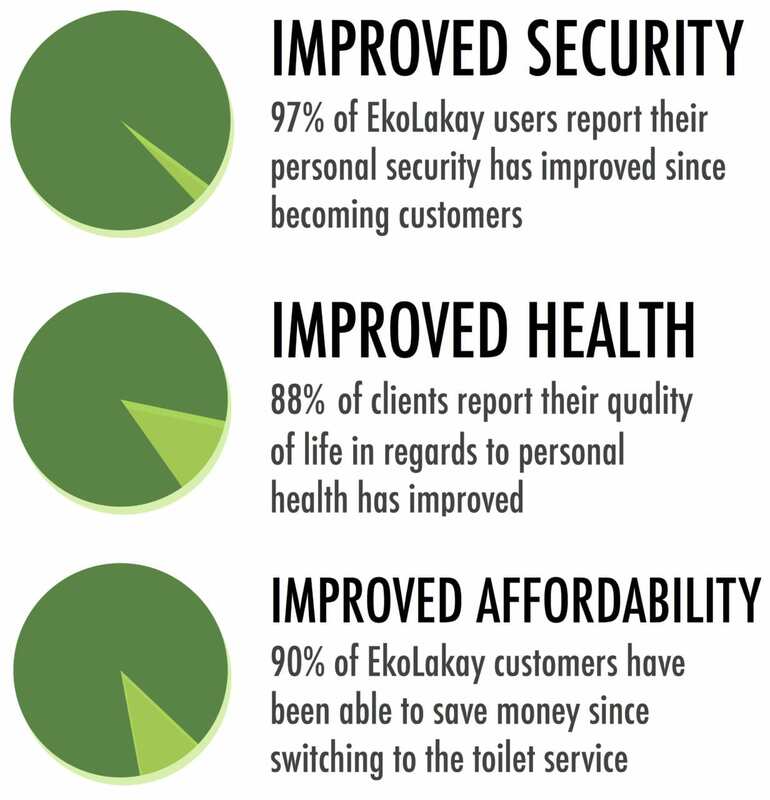 Overall, 90% percent of EkoLakay customers reported that they have been able to save money since becoming customers. In having these conversations, we did hear from clients that their bonzodé cover material, which keeps the odors and flies at bay, is difficult to keep completely dry. We’ll be responding to this feedback by providing an improved storage container for the cover material in the months ahead. The results of this satisfaction survey are already helping to inform our operational strategy for the year ahead. We’re so grateful for the encouragement from EkoLakay customers, as well as the support from our SOIL friends across the world who make it possible for us to continue to improve and expand our services. Stay tuned to hear more about our upcoming market research that’s currently underway in our Cap-Haitien office! 2 Replies to "EkoLakay Customer Satisfaction Report: Improved Safety, Health, and Affordability"
I’m very cautious with the word ‘love’, but I do love what you’re doing. I’m what you call a Cultivator, and I don’t see and end in sight to that. Thank you so much for the truly meaningful and sustainable work that you have been doing before the world even noticed Haiti. you’re loved. Thank you for your kind note and for your continued commitment to expanding access to safe and dignified sanitation! We’re so grateful to you and the other SOIL cultivators who make the work that we do in Haiti possible. Happy New Year from all of us here at SOIL!